The Internet has made entire industries disappear, while creating new ones. How do I make a career choice that is not likely to disappear? Your question is a relatively new one, because graduates from past decades did not imagine their jobs, or even their skills and training, when become obsolete in the new digital economy. Experts have been researching this rapidly shifting employment picture, trying to determine how to future-proof your career. The digital revolution that has taken place across the U.S. has radically altered the recruiting process and the way employers view future staff. To keep ahead of the game, students and applicants must continue expanding their skill sets to be considered as viable applicants and employees. A slew of new careers has emerged as a result of mass digitization. These include Chief Marketing Technologist, Social Media Manager, Chief Digital Officer, and UX/UI designer, all contributing to ecommerce web design, development, and marketing. Companies now need to ensure that their clients can utilize and navigate websites and apps with ease and efficiency. As future professionals, students need to be learning how to future-proof their chosen careers. The bottom line is essentially the ability to continue learning after you've left college. You need to demonstrate the capacity to adapt to new technologies and prove that you can still learn new skills. The digital revolution has changed manufacturing into a high-tech environment. 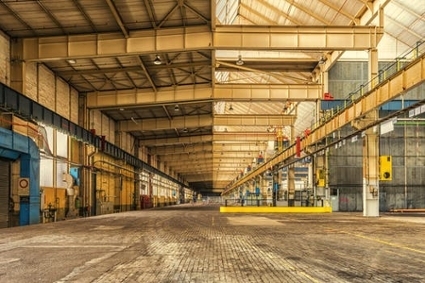 Employees now have to solve problems with new production and warehouse solutions that are only possible with IT and computerization. Jobs are no longer static, they are evolving at a faster pace than ever as new technologies and methods of reaching people online constantly emerge. An impressive resume will get your foot in the door but adaptability and learnedness will keep you there. The telecom industry is a prime example of how things went from a hardwired telephone to a handheld computer that few can even put down in today’s world. Company bosses are not just seeking people that can cope with change, they want a team that thrives on it and innovates with it. Employees that anticipate the next generation and drive the change will stand out. One good interview technique is to highlight a college project that needed last-minute changes and how you were able to research, adapt, and lead in a new direction. A strong network is also essential for knowing how to adapt and evolve, a pool of knowledgeable friends and colleagues will be more efficient than a solo thinker. Problem solving as a team will help nurture your network. Continued education is another way to keep up with current developments in your field. For example, IT managers should take a cybersecurity course, a brand-new field that is ever evolving. Asking your employer about job-related courses and seminars will show enthusiasm and drive, all plus points for your career path. Automation and rapid advances in artificial intelligence could see many jobs lost to robots or algorithms in coming years. This is where your ‘soft skills’ should excel as a machine cannot compete on these levels (yet). Communication, negotiation, empathy, and flexibility are all human traits crucial to any workplace. Nurture yours to stay ahead of the game and future-proof yourself in these ever-shifting digital times. The best thing about the future is that it comes one day at a time - Abraham Lincoln.